Yugoslavia - Thoughtfully Critical or Critically Thoughtful? 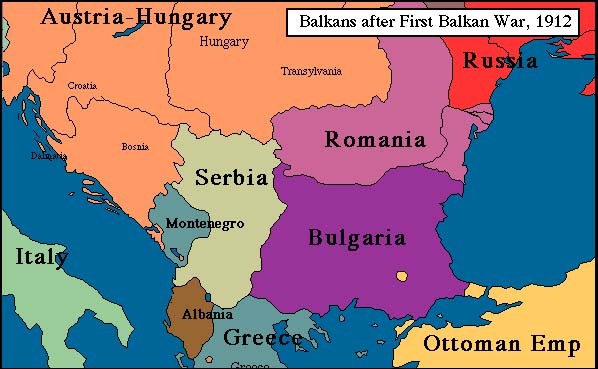 The country of Yugoslavia was formed as a Republic after WW2, combining the ethnic Serbian, Croatian Slovenian, Bosnian, Kosovan, Montenegrin, Hungarian and Albanian. The country was led by the Communist war-hero Tito, whose power personality helped connect the different ethnic groups of people together. Tito died in 1980 and the country of Yugoslavia began to weaken with the different ethnic groups competing for supremacy. The collapse of Communism in Eastern Europe and the Soviet Union meant the Yugoslavian Communists lost influence and ethnocentric politicians took power. The country broke apart violently in 1991, leading to over tens years of war and murderous ethnic-cleansing. Finally each group got their independence.